CBN hosts international websites in multiple languages, ministering to millions, presenting the Gospel and providing online discipleship materials. Many CBN websites stream video of transformational testimonies, offer live chat with prayer partners, and post encouraging daily devotionals. 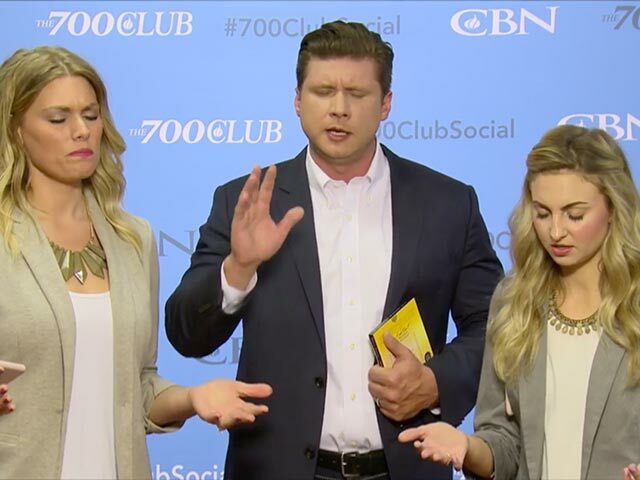 700 Club Interactive is a show designed for viewer interaction through chat, Skype, phone calls, and social networking. The format ensures live ministry and a community of prayer. Online evangelism makes it possible to reach around the world and fulfill the Great Commission. According to internetlifestatistics.com there are more than 3.5 billion Internet users in the world. There are 3.3 trillion Google searches a day. Every year, millions of people enter the search term "Jesus Christ". CBN.com averages over 4 million unique visitors each month. 6.9 million CBN apps have been downloaded. Over 550,000 web visitors indicated they prayed a prayer of salvation. Reaching an average of over 11 million YouTube video views per month with Christian content. As a CBN partner you can have the confidence of knowing your gift does so many things. Whether helping to reach millions with the Gospel through the power of digital media, providing life-giving water, feeding the hungry, or healing the sick, each gift changes lives here in America and around the world.